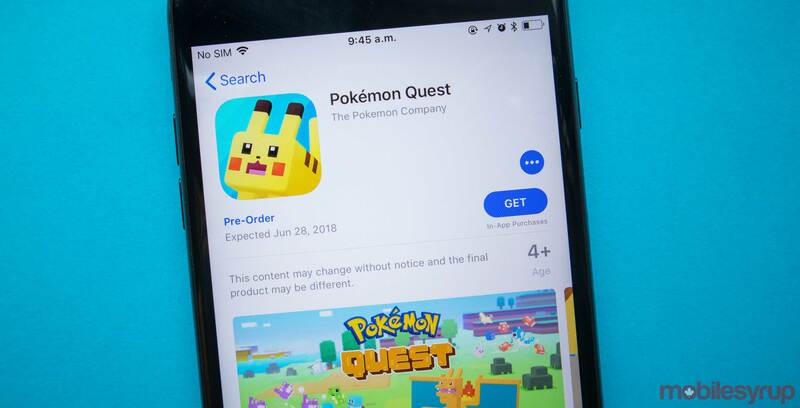 Nintendo released Pokémon Quest on the Switch a few weeks ago and now it looks like the smartphone version is almost ready. IGN has reported that the Japanese Pokémon twitter account tweeted out and said the game is up for pre-order on mobile devices. The App Store lists a pre-order for the game as well as a release date of June, 28th. The game will launch on both iPhone and iPad. Pokémon Quest will run optimally on all phones that have iOS 11, and is compatible with a few devices that are running iOS 9 and 10. On Android, the game requires Android OS 4.4 and higher and a minimum of 2GB of RAM. The game can be pre-ordered on the App Store here and Google Play here.